My day job took me to Bristol today, so half of today’s rubbish came from there and the other half was locally tossed. 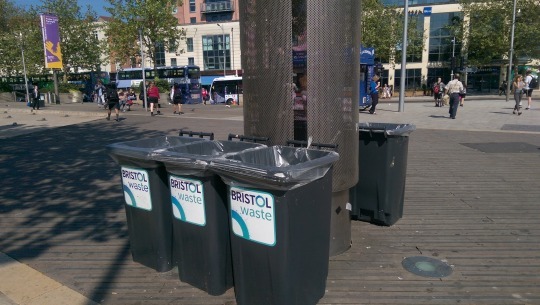 While in Bristol, I noticed that they had increased the number of bins in busy public areas like the quayside and Queen’s Square, and the big Bristol Waste stickers help call attention to the fact that there are actually bins around. No bins lurking in the corner here! I didn’t manage to get a photo of them, but I also caught sight of large posters advertising the fines for littering. 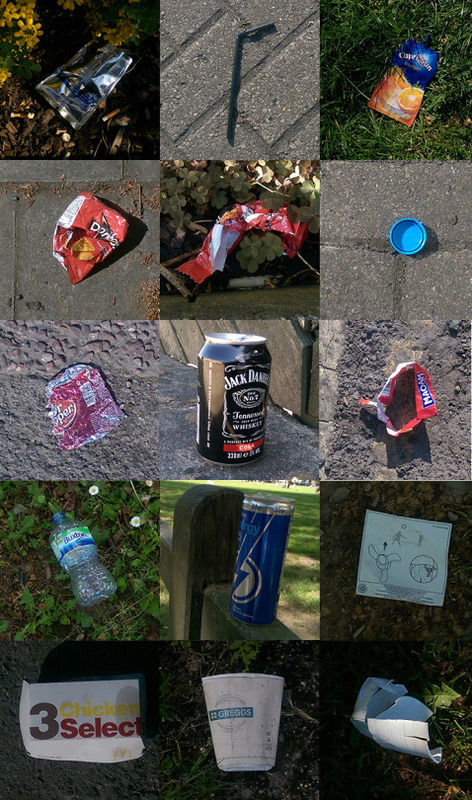 None of these interventions meant that Bristol was litterfree … but it definitely felt like they were trying to make an impact and go beyond business as usual.